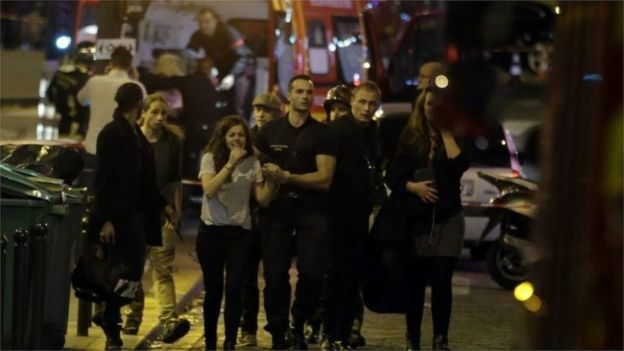 By now you have heard about the horrible events transpiring in Paris, France where over 150 people have been shot dead and many other wounded by ISIS terrorists that attacked multiple locations including a sports arena, a restaurant, a concert hall, a bar and other locations. What has transpired is absolutely disturbing and sickening on so many levels, and my heart goes out to the families who have lost a loved one. The sad truth is, I do believe this is likely a planned event. There are far too many coincidences and agendas at play that fit right into the hands of the New World Order elite. In the video below I delve through at least three coincidences that will literally have you questing everything. Not only that but I discuss France’s gun rights and how many Syrian rebells they plan on letting in the country, and if any of that plays a role in what just transpired. Trust me this is one video you’re going to want to see!!! NextWhat’s Coming After the Paris Shootings and the Magazine That Predicted It—You’ll Be Intrigued! lisa do u think this might be part of the depopulation to sneak rebels into other countries and have them start killing people from other countries use this plan to stage a reason for war to cover up the economic woes. we hate learning from history thats why we repeat it by distraction threats to our freedom and lies. Every country was ok with their ways of living until it got invaded now all hell has broken loose. Btw we make guns so who really needs to be held accountable for gun making. natives used bow and arrows darts and so on they only done so when theyre villiages were being invaded. Greed control lies lust cheat steal and destruction we are causing each other. if you want to stay with Biblical prophecies. Look at the pic of the lady you provide at the top of your story. Now go to this link and scroll down til you see the photos of the SAME WOMAN from Aurora, Sandy Hook, Boston, and now Paris.